Where has the time gone? I can't believe I've got this far. I had no idea how committed I would be to blogging when I started. I think it was just meant to be an outlet, something to give my life a bit more focus and a responsibility for but I never knew how much I would dedicate to it and I'm so much happier for it. Blogging thus far, has been an amazing experience. I've learnt so much about myself and the blogging community, and I've met and spoken with so many incredible and interesting people from all walks of life and all parts of the world. I want to send a big thank you to everyone who reads my blog, to all of you who've subscribed on bloglovin' and to all the wonderful people Ive met and spoken to - you've brought a lot of happiness into my life. As a congratulations to myself and to celebrate making it this far I got busy in the kitchen and made myself some homemade sweets - fruit pastilles to be exact! 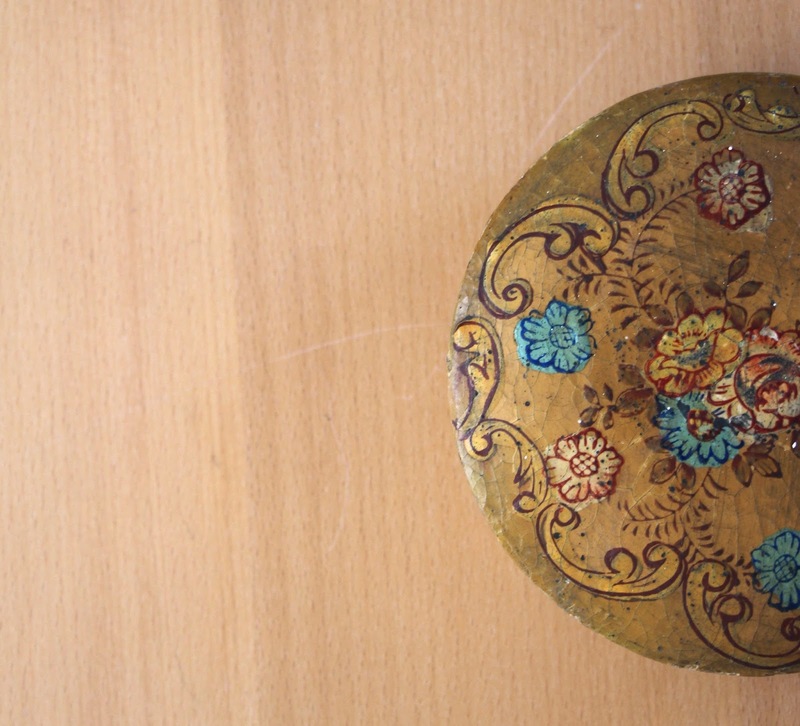 I found this vintage box in a charity shop and I though it would just be the perfect old fashioned box for my yummy old fashioned sweets! You can make fruit pastilles with pretty much any fruit, but berries and in season fruits are always the best. I chose Nectarine because thats my favourite summer fruit and I absolutely love the results. They are so yummy and part of the goodness is definitely that I've made them completely from scratch. They are still sugary but having made them in my little kitchen I know they are additive free and all the sweetness is completely natural = Guilt free treats! The best thing about these is just how quick and easy they are to make! If you'd like to learn how to make them yourself please let me know in the comments below and I'll put up a recipe very soon! Thanks again to everyone who's been so so wonderful.